Not a bad spot for a sentry. but…. 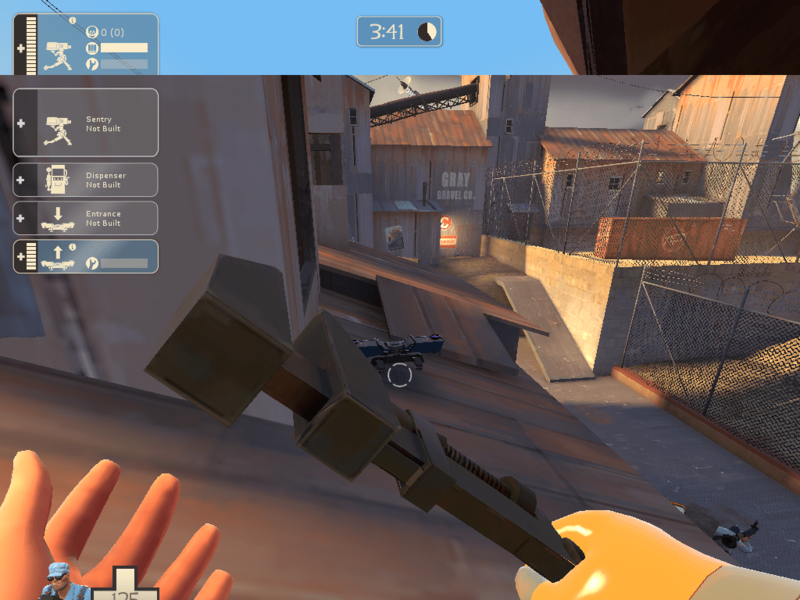 A rocket barrage here could destroy the sentry with splash damage, leaving the soldier unharmed. Hello, My name is Wwlink55, or Clockwork Rainbowdash on Steam, and this is my first article for the Daily SPUF. I’m someone who absolutely loves the engineer. The sweet feeling of a scout being mulched down with bullets, the clang of a wrench on the skull of an enemy spy, or the beeping of a sentry, looming through the hallways. It’s a bit of an art form to me, and having everything in the best possible spot is such an awesome feeling. The key to this, is subtlety. Before you just throw your buildings down, think of all the possibilities that could occur. 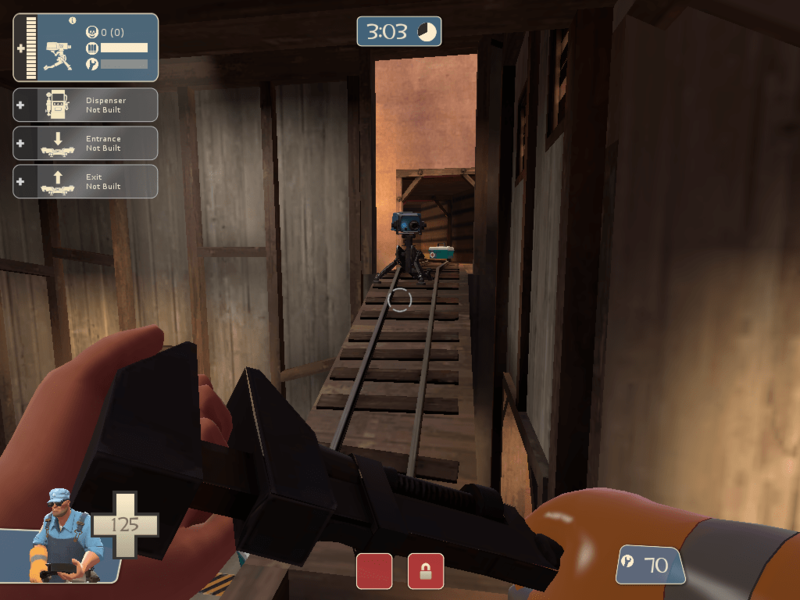 What would happen if a scout ran through this route, would the sentry get him? What if a demo walks in, does he have an easy target? You have to take in all these and find the perfect spot for the sentry. Just plonking down a sentry near a large ammo kit isn’t always the best decision. It’s often expected and easily taken out. You should try and be original with your sentry placement. If you want to take it to the next level, move the sentry around every few kills, but only if you have the rescue ranger or are sure you can get to the new location safely. It can make enemies panic when a sentry is suddenly on top of them, or in an area that they once took for granted. As for the Dispenser, the locations are a bit less open. 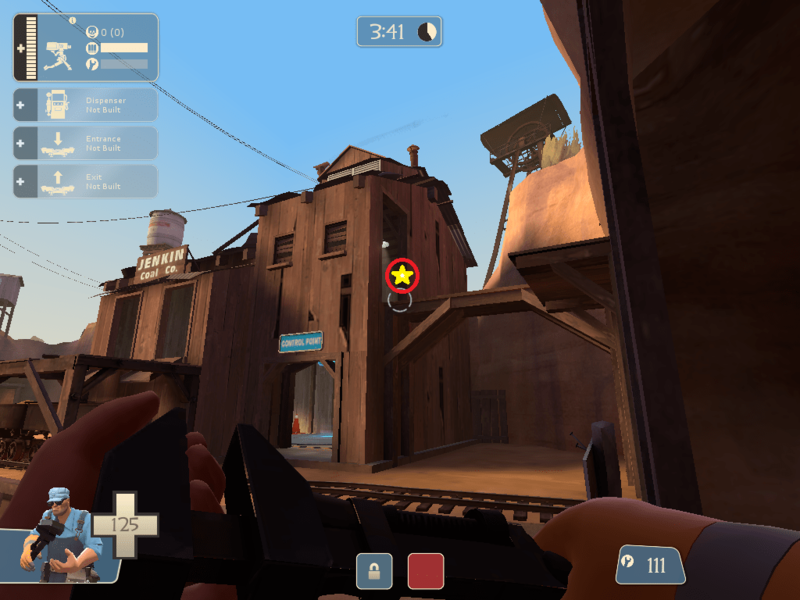 You have to have a dispenser near teammates to achieve its peak of usefulness, but you also need to keep it near your other buildings in case of repairs or rebuilds. It can be tricky to know where to put it, but usually a fantastic spot is simply out of the line of sight of enemies, yet still in the line of sight of allies. Maybe you can put it behind a rock in Badwater Basin, or a wall in 2fort. Keeping it out of the line of sight of enemies can be a perfect defense. A teleporter exit right here can make B extremely difficult to capture. Teleporters, in my opinion, are the most subtle of all the buildings. The very location you put it will focus almost all you’re allies into a single area, with very little exception (Remember the teleporter on Rd_asteroid? Who did take that every single respawn?). You often sacrifice a more open offense for one in a single point, which can lead to both an amazing victory, or a tragic defeat. You have to be very cautious where you put your teleporter exits, because it can lead to a very unhealthy shift in defense and offense. Engineer isn’t always just a “plonk down a sentry watch it kill” class. To get the best results, you have to think and act quickly, even with the gunslinger. A secretly placed minisentry hailing bullets down upon your foes from a high balcony or plateau can be extremely effective as well. You just have to think a little. Next time you’re looking at a wall, or a bridge, or even a pool of water, think of what interesting building placements could occur.